700 years in the future, Earth has become a dusty wasteland, full of garbage and trash left behind by it's human inhabitants. The only organic life left is a cockroach, but something else is busy at work roaming the derelict streets. Wall-E, short for Waste Allocator Load Lifter - Earth-class, is the last remaining solar powered garbage collector made by the corporate company responsible for the mess, Buy 'N' Large Inc. 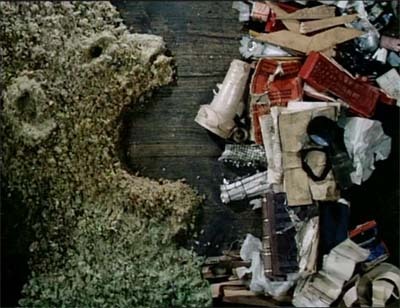 Working tirelessly day after day, Wall-E gathers the rubbish and compresses it into cubes in his "stomach". He neatly stacks them into towering skyscrapers, collecting interesting artefact's (including a rubix cube and lighters etc) along the way. 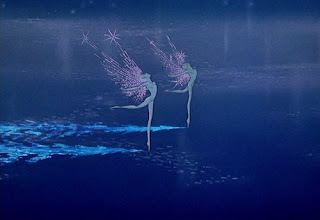 "The heart of the film, and the source of its most inspired, bewitching scenes, is its first half hour. There's no dialogue, just a series of bleeps, whirrs and squeaks - like a cross between the Smash potato robots and a soundtrack hatched up by the BBC Radiophonic Workshop. 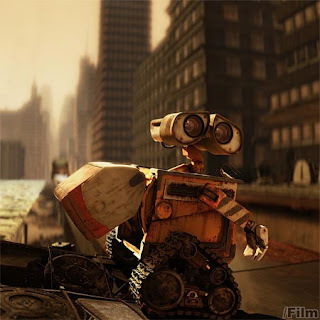 WALL·E gently motors across a parched earth full of faded street signs and collapsed buildings, heat and pollution, rendering the atmosphere dust-caked and poisonous red." (Sandhu. 2008). 700 years of work and isolation has had an affect on Wall-E's circuits. He's craves companionship and love to sustain his lonely existence. Every night he watches "Hello Dolly" on VHS tape and dreams of holding a loved ones hand. One day, when returning to his abode from work, a spaceship bursts through the atmosphere and leaves a sleek, Ipod inspired robot, EVE (Extraterrestial Vegetation Evaluator). Her mission is to scour the planet for signs of plant life, proving Earth is once again sustainable. 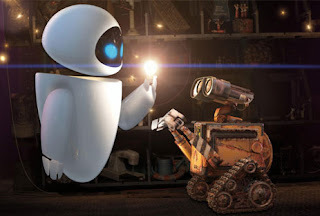 Wall-E is captivated by EVE and humorously tries to pursue her. Fixated on her directive, EVE at first, ignores him and gets to work. 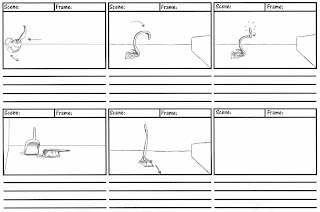 Saving EVE from an dust storm, Wall-E takes her back to his makeshift home where EVE stumbles upon a plant Wall-E found amongst the rubble and keeps in an old shoe. Discovering the vegetation, EVE's automatic system stores the plant in her stomach compartment and shuts her down to await pickup. 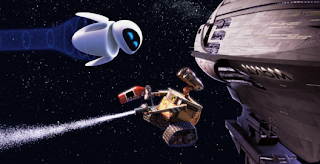 Determined not to lose his new found love, Wall-E scrambles aboard the pickup ship in pursuit of EVE and is whisked into outer space. The ship takes them to the Axiom, a hotel like space ship, housing the evacuated humans. 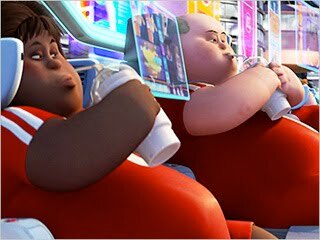 Over the years they have devolved into obese, baby-like characters dependent on technology. "...the clever whimsy begins to sour the moment the film scrambles on board the Axiom (the pompous name of the human space ark). Our metal heroes fall foul of a rogue computer with delusions of grandeur, and the story turns into a rather predictable robots-in-peril adventure." (Christopher. 2008). This is not to say the weak third act is without it's moments. 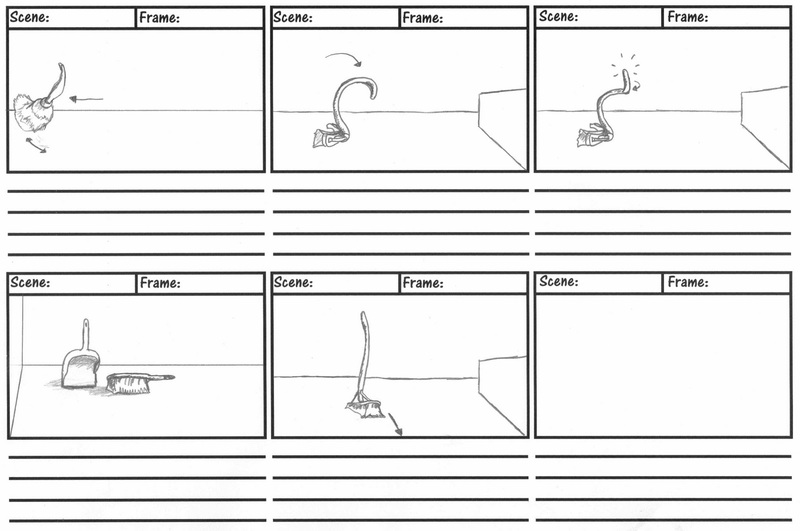 The ships co-pilot jettisons Wall-E and the plant to get rid of the evidence and keep the humans in space. 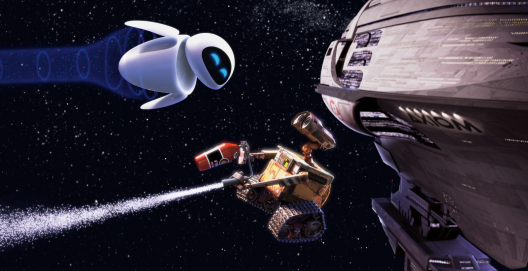 Wall-E and EVE engage in a hypnotic, majestic space dance back to the ship that captivates the audience and the robots growing love. Combined with the great visual reach of the opening and middle act and huge family appeal , Wall-E is firmly up there in a growing list of Pixar classics. 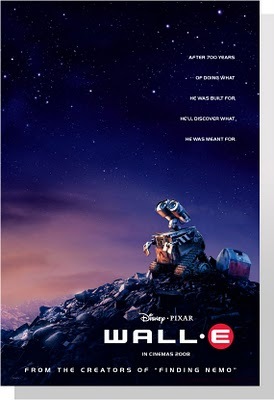 "WALL•E plays without safety nets or spoon-feeding; it reinvents the delicate, potent behavioral language of silent-film comedy, of the Buster Keaton and Charlie Chaplin films." 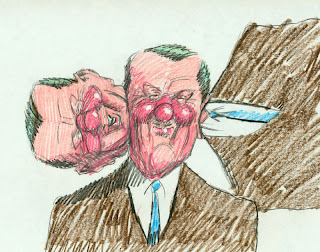 (Corliss. 2008). 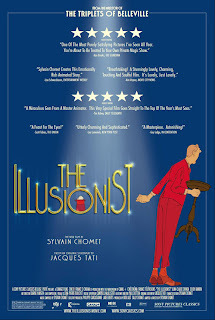 Based on an un-produced script by Jacques Tati, Director Sylvain Chomet had to beg Tati's extended family for permission to adapt it into his 2010 release The Illusionist. Chomet based the main character Monsieur Tatischeff on Jacques Tati himself and relocated the story to Britain. "The result is utterly distinctive and beguiling, with its own language and grammar of innocence: gentle, affectionate, whimsical, but deeply felt and with an arrowhead of emotional pain." (Bradshaw. 2010). In the 1950's, Monsieur Tatischeff is a dying breed of entertainer. Moving around France and performing exquisite, but antique magic tricks, he is struggling for work. His audience is increasingly consisting of screaming girls only there to see cheesy rock bands. 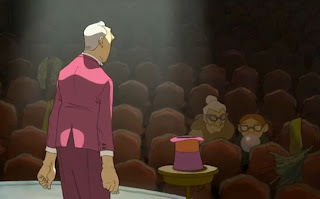 "He’s a good magician on a small scale, flawless at every trick, except producing a rabbit from a hat." 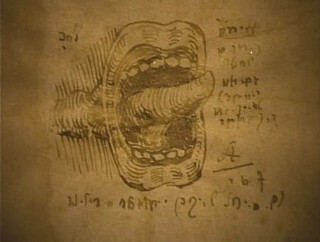 (Ebert. 2011). In the pursuit of work, Tatischeff travels to Britain to perform on any stage he can. He works his way up to the Scottish Isles, reduced to performing in a Pub for local people celebrating the fact they have just got electricity. 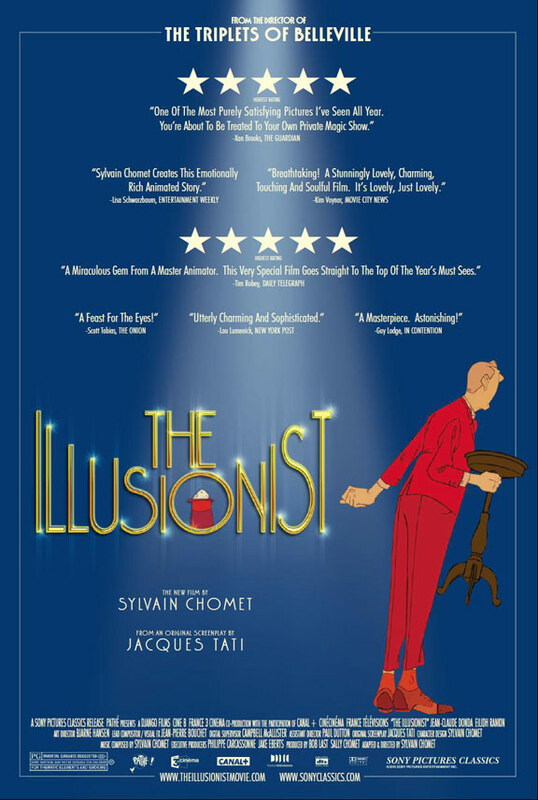 A cleaning girl at the pub called Alice is mystified by his magic tricks, and through an act of kindness, Tatischeff buys her a new pair shoes. He extravagantly presents them to her with slight of hand, Alice becomes convinced he can magic anything she wants into existence. So much so that she follows him to Edinburgh, stowing away on his ferry trip. The pair form an unlikely companionship, checking into a hotel frequented by fading circus acts. Tattischeff continues to perform locally, while Alice upkeeps the room. It is here that the movie begins to take it's stride, replicating Edinburgh lovingly down to the minutest detail . "Every frame looks like a delicate water-colour - the city’s buildings, alleyways, hills, spectacular views - even its 1950s buses - are realised in gorgeous detail." (Gritten. 2010). The images are so enthralling the audience falls in love with town's splendor with the characters. Keeping up the illusion for Alice, Tattischeff continues to surprise her with new gifts, stretching him financially. However as they both mature and the illusion begins to fade, Tattischeff reaches the lowest of the low, performing in a shop window to advertise it's products. As Alice's attentions are elsewhere with her new love interest, he realizes he has become truly obsolete. 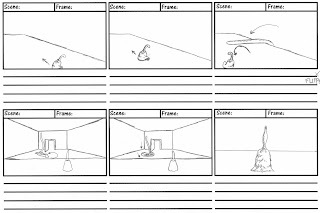 Emotionally, he sets free his co-star rabbit into the Scottish highlands, seamlessly blended 3D and 2D animation. 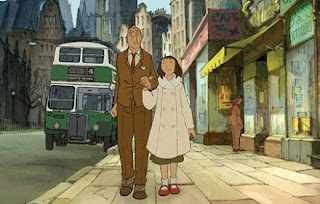 "...when Chomet's animated "camera" takes off for a swirling, overhead shot of a lovingly realized Edinburgh, the effect is dashing, breathtaking, even weirdly moving. (Bradshaw. 2010). 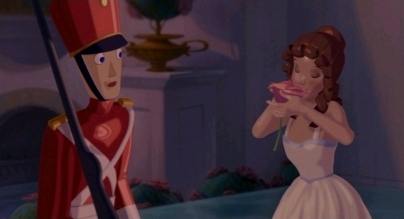 He leaves Alice with a poignant message and flowers in the hotel room, stating "Magicians do not exist.". On the train out of Edinburgh, Tattischeff tantalizingly looks at a photo of a likely child relative, possibly a metaphor of Jacque Tati's own personal family life. Born: 30th April 1946 Portland, Oregon, USA. Bill Plympton attended Portland State University in 1964 before transferring to New Yorks School of Visual Arts in 1968. He first became aware of animation at the age of four or five, when he first saw Daffy Duck. He would religiously watch Walt Disney Presents every Sunday night and became a card carrying member of the Mickey Mouse Club. 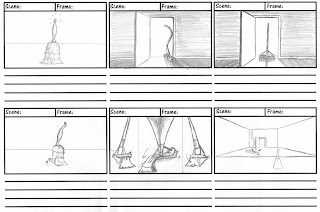 After graduating from college, the animation studio system was almost gone and very little opportunities in animation were available. He spent the next 15 years as a political and gag cartoonist, his work appearing in; The New York Times, Vogue, Rolling Stone, Vanity Fair, Penthouse and National Lampoon. 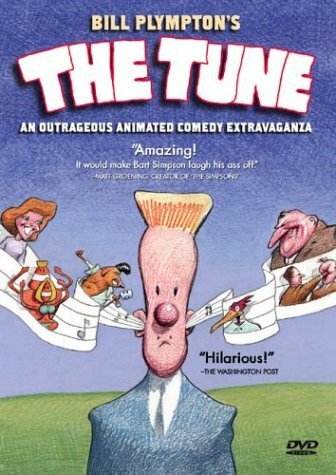 After a series of successful shorts, Plympton produced Your Face (1987), an Oscar nominated animation about a man in a chair crooning about the face of his lover. As he sings, his own face begins to distort in various different ways. This style continued with his other shorts How to Kiss (1989), and 25 Ways to Quit Smoking (1989). Both depicting average people doing normal things with humorous consequences. 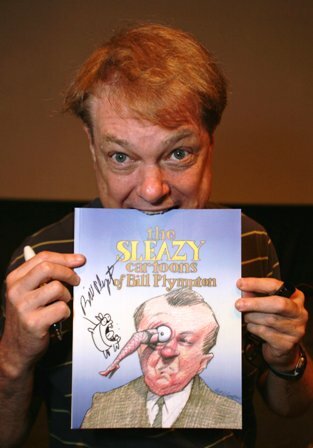 "Plympton's unique-style, in which he sees the sense of the ridiculous in everyday life...". 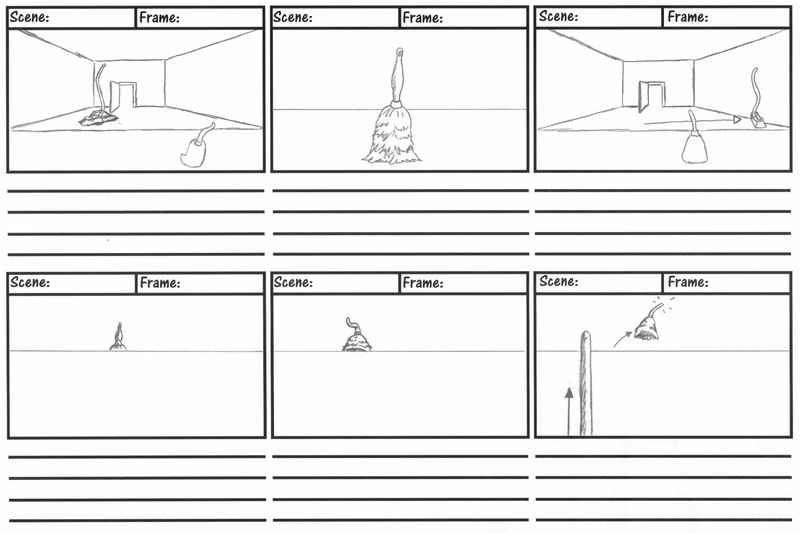 "His animations are all done by hand, and he uses only four to six drawings per second, less than a Saturday-morning series. 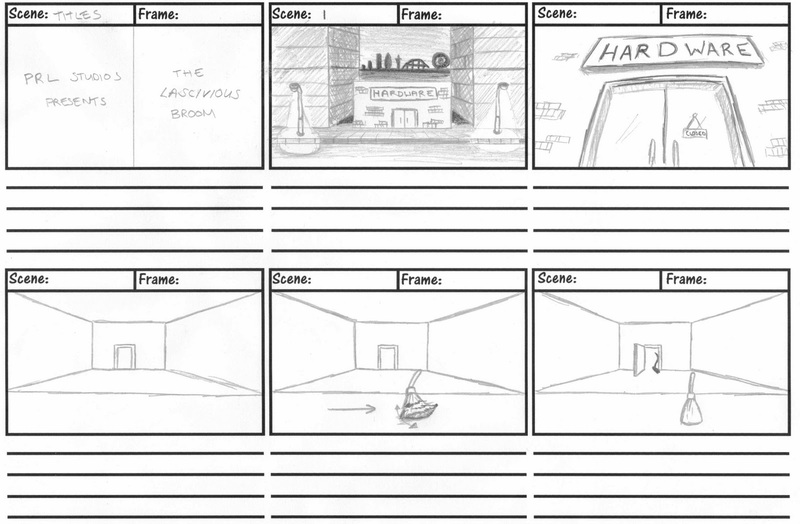 Disney style animation requires 12 to 24 drawings per second." (Beck 2004:278). Plympton continues to animate over a range of media, lending his unique style to Kanye Wests' music video "Heard 'Em Say" (2005) and "Weird Al" Yankovic's "Don't Download this Song" (2006), as well as shorts and feature length animations. Born: 18th January 1934 Wimbledon, London, England. Born to working class parents, Ethel and Ernest, Raymond Briggs studied painting at the Wimbledon School of Arts and typography at the Central School of Art. After completing two years of National Service, he returned to further his studies with the Slade School of fine art, graduating in 1957. 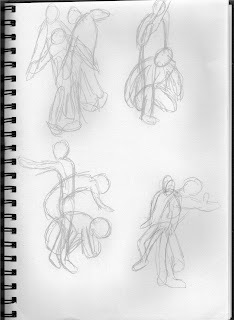 He became a professional illustrator and began to become popular from various cartoon strips and comics. 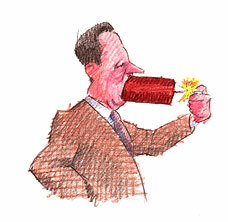 In 1982 Channel 4 was launched and Paul Madden was appointed as animation consultant. Their decision to commission programs from outside deemed more profitable than making their own. One of their first productions was an adaptation of Raymond Briggs' The Snowman (1982), where a young boy and his beloved snowman fly to the north pole to meet Father Christmas. 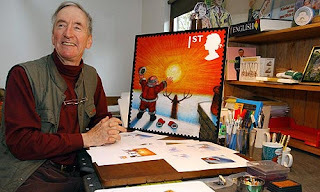 Staying true to his wordless story, "The animators who worked on The Snowman retained the soft crayoned look of Raymond Briggs' original illustrations. It was nominated for an Oscar and won the BAFTA for best children's film 1983. It has become one of the studio's best-loved films." (Beck. 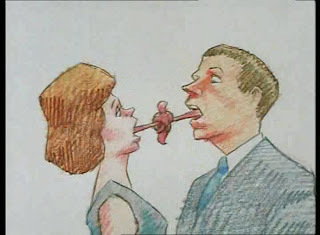 2004:282.) One that has been repeated for every subsequent Christmas. The success of The Snowman meant Paul Maddon could finance other young animators, including the Quay brothers. 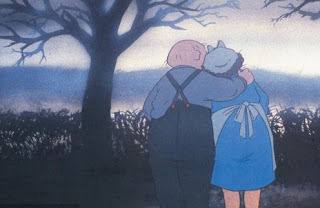 Briggs' next involvement would be the poignant tale of Jim and Hilda Bloggs, middle class senior citizens trying to avoid nuclear fallout in "When the Wind Blows" (1986). "James and Hilda Bloggs are a most unlikely hero and heroine, and ''When the Wind Blows'' is a most unlikely entertainment. Here is an animated film (with live-action inserts) about the end of civilization, a subject much beloved by the makers of dreary, numbingly arty cartoons shown at film festivals." 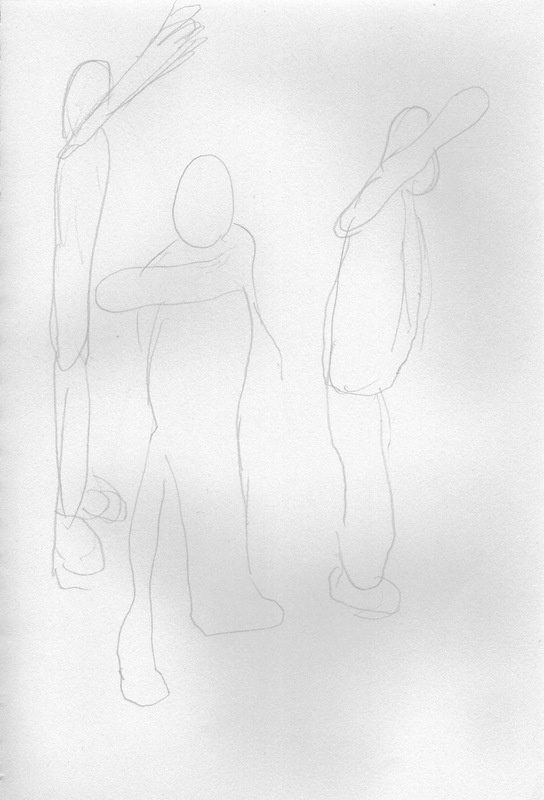 (Canvy. 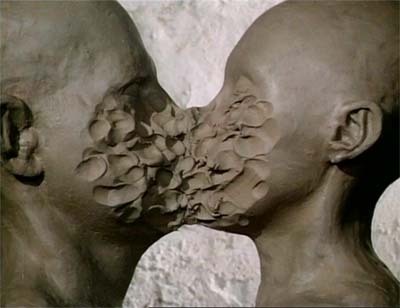 1988). Briggs continued to produce books and teach illustration at the Brighton School of art until 1986. 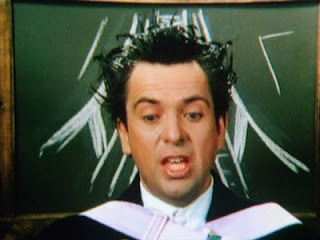 In 1991 he introduced a grumpy Santa in Father Christmas and later was recognized in 1993 by achieving the Childrens Author of the Year by the British Book Awards. 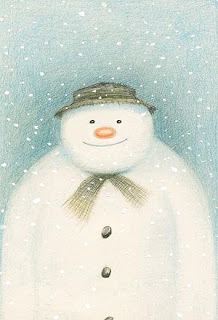 He resides in Westmeston, Sussex and continues to write and illustrate books. 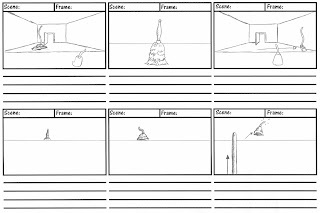 I feel this animatic needs alot more work, in terms of perspective, character design and environment detail. 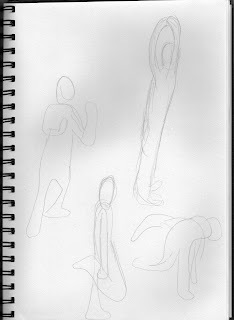 However, I can use it for timing issues when I came to produce the actual animation. 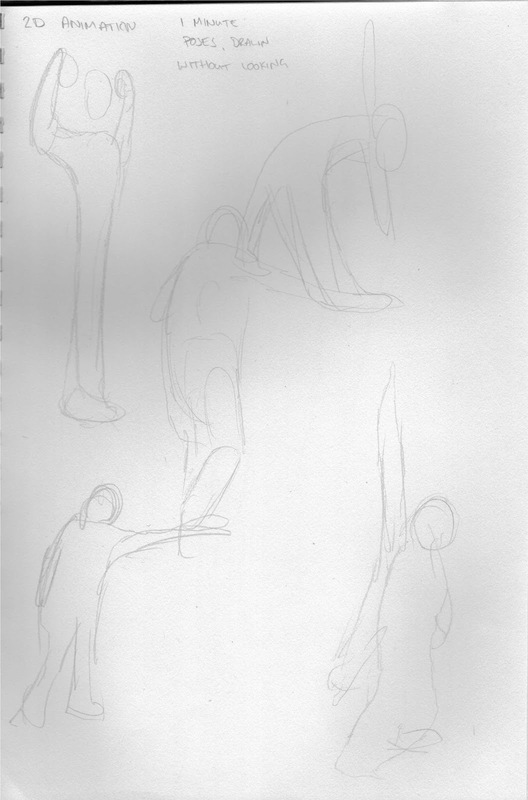 For this exercise we took it in turns to pose for 1 minute doing an interesting action, we had to draw theheir basic shapes and outlines without looking at the paper. 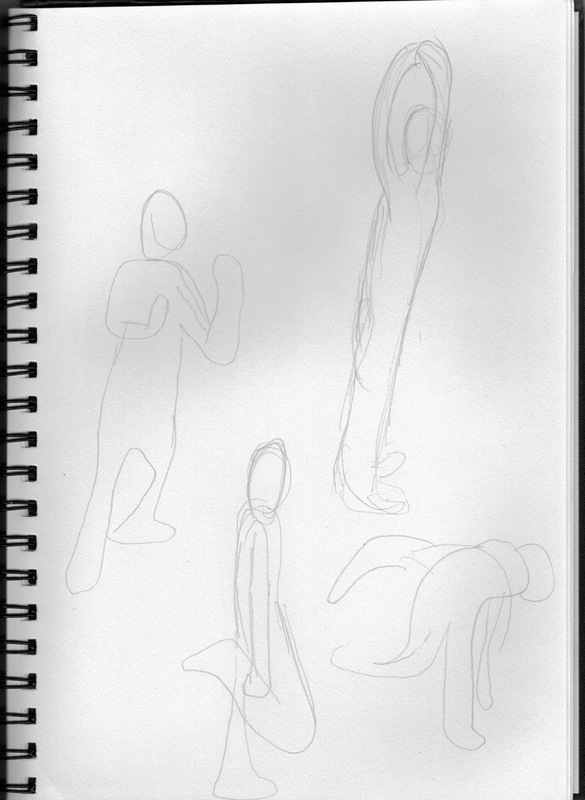 Models performed a movement, pausing for key frames, we were then given 20 seconds to draw basic outlines and shapes based on key poses. 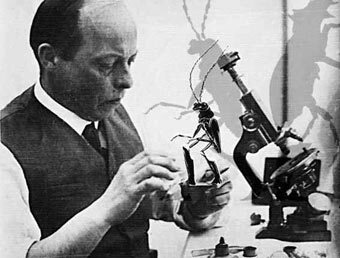 Born in Moscow, Russia to Polish parents, Ladislaw Starewicz started his career making documentaries for an ethnographic museum including an animated reconstruction of Stag Beetles nocturnal mating rituals called Battle of the Stag-Beetles (1910). 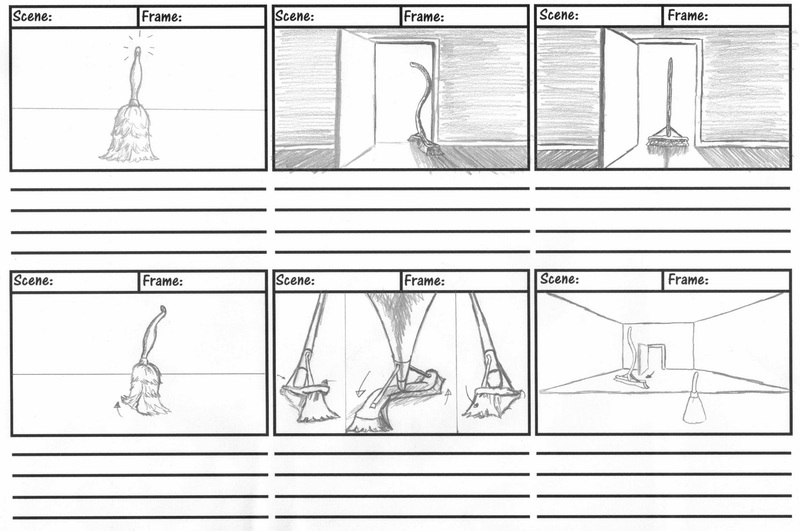 For this feature he used preserved specimens and wax to animate their limbs frame by frame. He would later develop a standard method of making puppets using wooden frames, wire, cork and plaster. 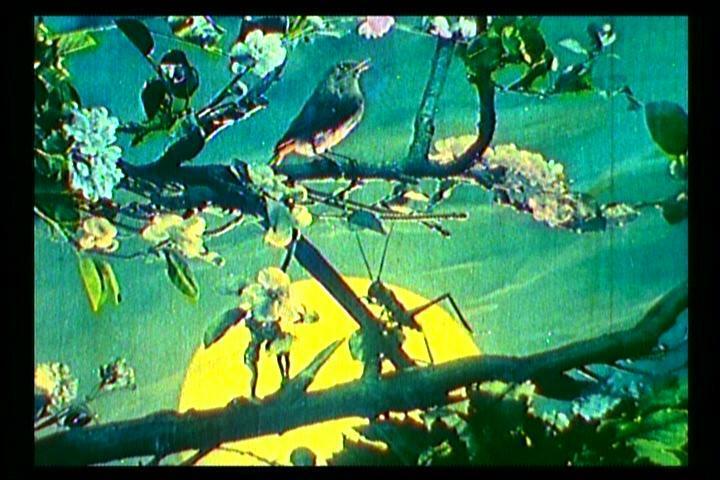 One of his early masterpieces, The Cameraman's revenge (1912), a comedy that tells the expressive love affair between Mr and Mrs Beetle. The history of stop motion animation has derived from two distinct paths. Starewizc was at the forefront of the European initiative. "...European artists' films, typified by the work of Jiri Trnka and Ladislaw Starewicz, and creative programming for children's television, exemplified by Aardman's The Amazing Adventures of Morph (1981)." (Selby. 2009:100). 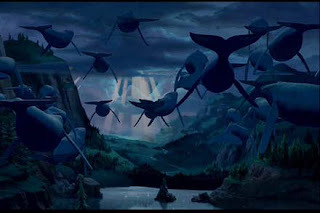 Whereas Hollywood, America used it to create maximum impact on their audience special-effects films. 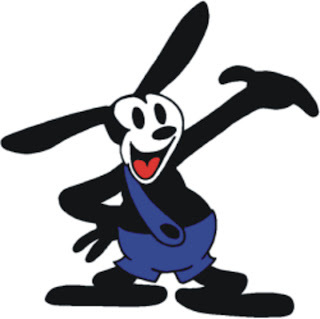 Likewise Starewicz's animal characters were a complete contradiction to America's quirky, loveable animal characters such as Mickey Mouse and Bug's Bunny. 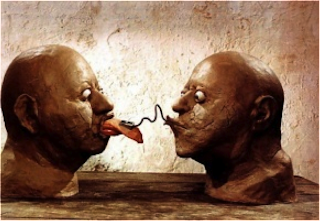 "Starewicz's work corresponds to the darker, amoral universe of the European fairy tale, and uses animals as highly conscious, dramatic characters, often with complex motives, again a far cry from the use of animals in the American cartoon tradition." (Wells. 2006:100). Fleeing to France in 1919 following the Russian Revolution, Starewicz's career flourished in the silent era with poetic films such as The Voice of the Nightingale (1923) and Reynard the Fox (1930). Starewicz made the transition to sound with his film The Mascot (1933). The story revolves around a stuffed dog who sneaks out to get his sick mistress an orange. 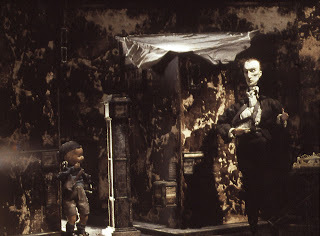 Along the way he encounters a range of characterful individuals including fish skeletons and other creatures made from litter and the devil himself. 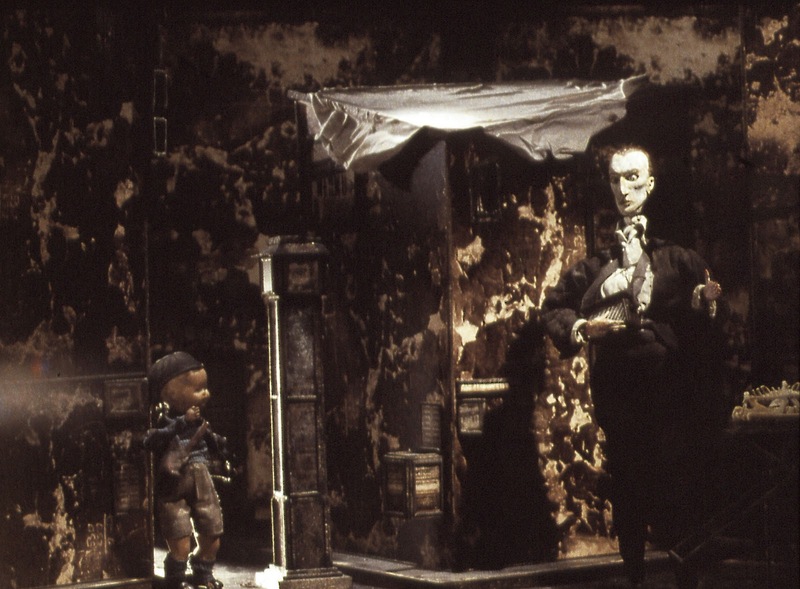 The range of emotions in the puppets is remarkable for it's time and enhanced by the addition of musical sounds for sound effects. 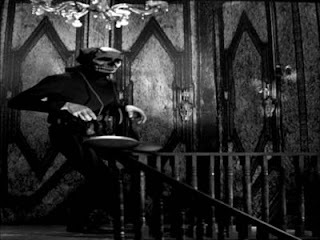 Starewizc continued to make films for the remainder of his life in collaboration with his daughter Irene, dying during the making of his last film, Like Dog and Cat (1965). 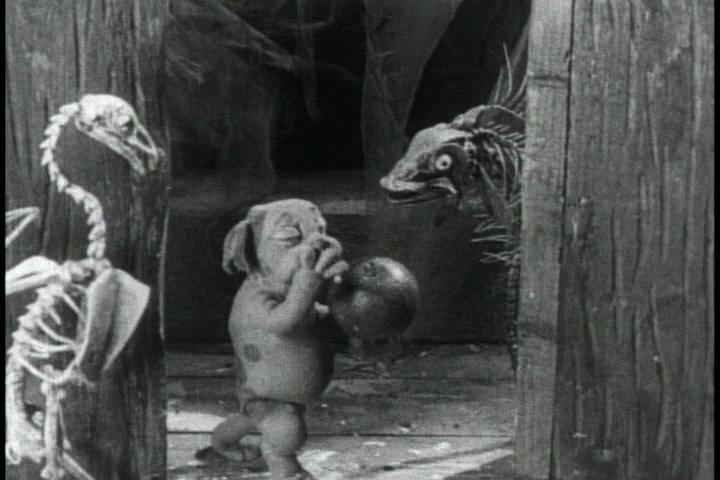 His later films unfortunately failed to replicate the magic of his silent and early sound features. 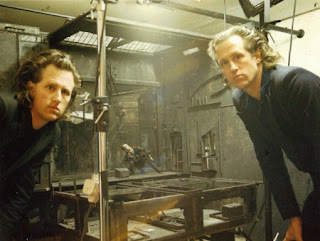 However, his pioneering work progressed stop motion animation on both sides of the Atlantic, inspiring the works of other greats such as Ray Harryhausen. 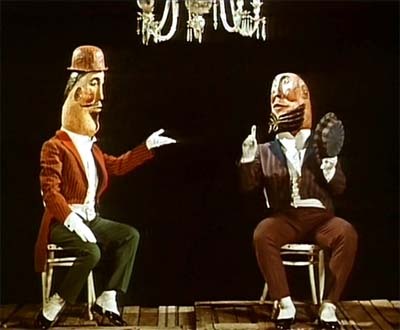 "He holds a place in puppet animation comparable to Winsor McCay's place in drawn animation. 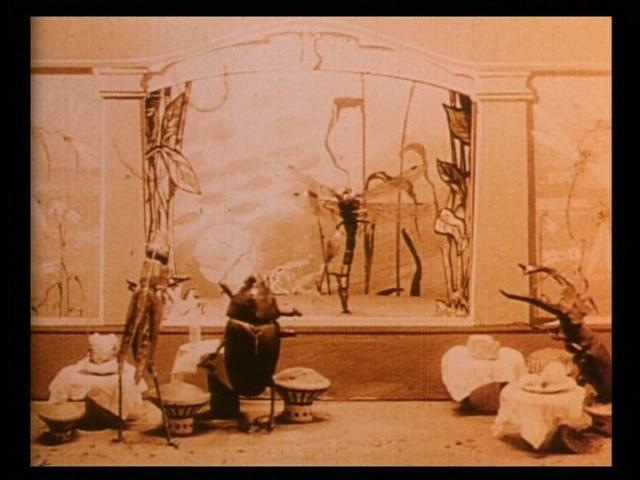 With his early films, he essentially established the art of stop-motion animation, taking it beyond the realm of the early French trickfilms." (Beck. 2004:84). Selby, Andrew (2009). 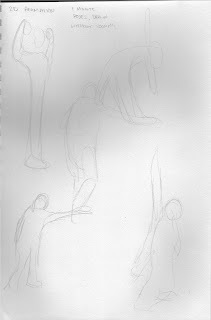 Animation in Process. London, Laurence King Publishing Ltd.
" "I hope we never lose sight of one thing." Walt Disney would later say. "It all started with a mouse". 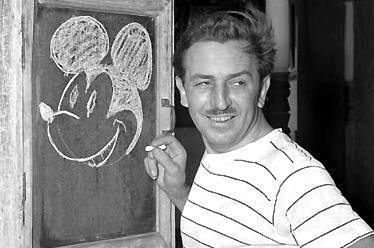 In truth, however, years before Mickey, the animation pioneer was already producing successful silent cartoons." (Beck. 2004:20). It actually all started with a cat called Julius, a reoccurring character in Disney's "Alice's" cartoon newsreels produced for Frank L. Newmans theater chain in 1921 - 1922. Disney's first company name was called Laugh-O-Gram Studio's and the Alice films proved successful and showed early signs of Disney's pioneering nature, breaking new ground combining animation and live action. "Unlike cartoon fairy tales, the Alice comedies were more innovative, placing youngster Virgina Davis into a cartoon world...." (Beck. 2004:20). 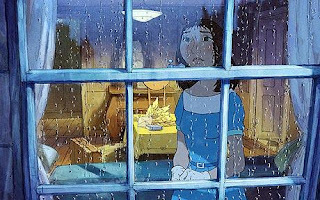 Unfortunately for Disney the distributors of the Alice films, Pictorial Clubs Distribution firm, went bankrupt and took Laugh-O-Gram Studio's with it. However, Alice's Wonderland, the final reel made before shutdown secured a deal with Felix the Cat's distributor Margaret Winkler, wife of Charles Mintz. Walt relocated his team and started again in Hollywood. By 1927, the Alice series had run it's course and a new series was created starring Oswald the Lucky Rabbit. Universal Pictures owned the character, Mintz was the producer and Disney the ran the production house. The series was a hit, the team grew and the animation got better and better. In February 1928 Disney went to meet Mintz in New York to negotiate better salaries for his studio and team. Mintz replied that Disney would take a cut in pay, or his top animators would work directly for Mintz producing Oswald's adventures. This turned out to be true, aside from a handful of animators, the majority had agreed to the deal in secret. Disney took the handful of animators loyal to him and decided to create a new character. Where he had lost a rabbit, he gained a mouse. It is rumoured that his wife Lillian named him Mickey instead of Mortimer and that Disney created him on the train home from Mint'z office. Mickey was quickly implemented, staring in Plane Crazy and Gallopin' Gaucho both made in 1928 but without the backing of a major distributor. What finally made the difference was sound. 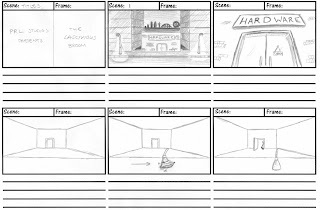 Although he was not the first make an animated feature with sound, he was the first to animate an entire one-reel cartoon story fully sound synchronized.... Steamboat Willie (1928). "With Steamboat Willie (1928), Disney, in the face of increased competition from the technically adept Fleischer Studio, created the first fully-synchronized sound cartoon, simultaneously introducing animation's first cartoon superstar, Mickey Mouse." (Wells. 2006:89). 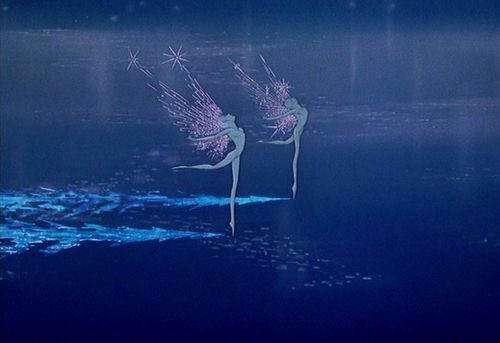 This was the start of 'the Golden Era' of animation. As Mickey's popularity increased, new characters were created. Donald Duck, Goofy, Minnie Mouse and Mickey's dog Pluto evolved from other short films and gained popularity in their own right. Disney's ambitions extended further than animated shorts. 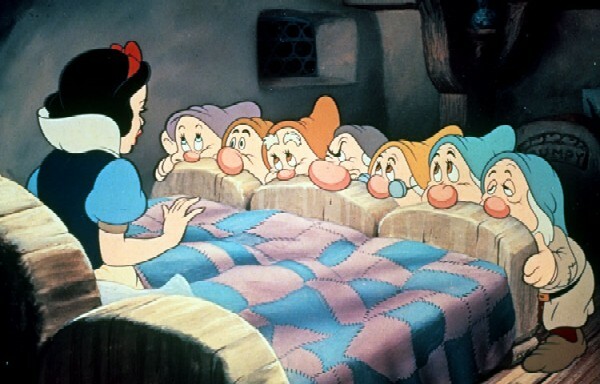 Within ten years of Steamboat Willie, he made Snow White and the Seven Dwarfs (1937), the first fully synchronized, full length cartoon feature. To depict realistic movements of the human characters, Walt helped to pioneer the technique of Rotoscoping. 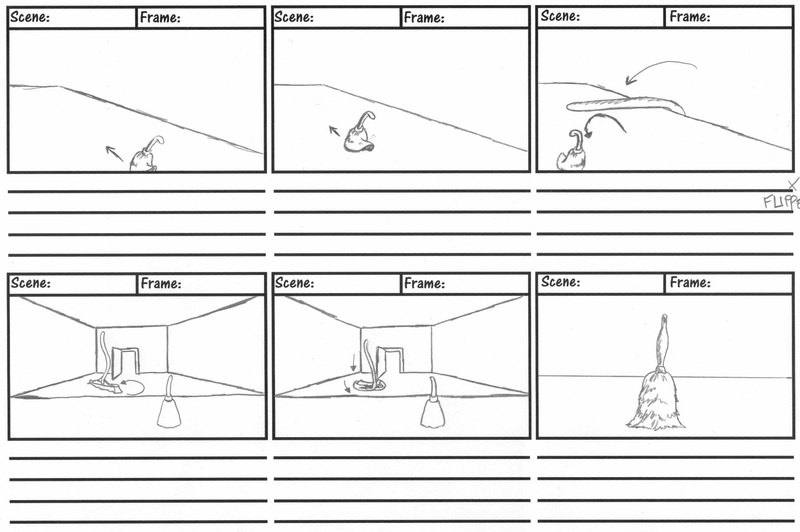 This involved the animators tracing live action footage to contrast the cartoony features of the animals and Dwarfs. Snow White was an overwhelming success and a landmark in the history of animation and film. Disney's team's expanded. 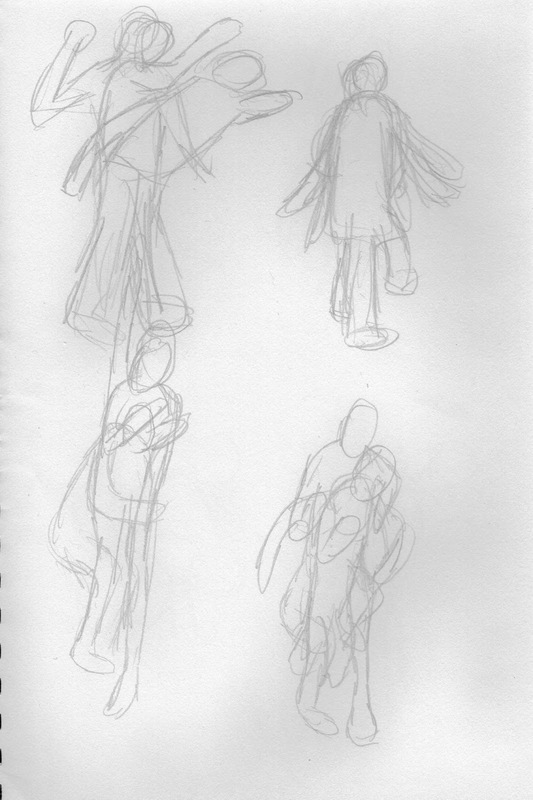 Divided into groups of two, some continued making the animated shorts Silly Symphonies while the rest were charged with creating new features including Pinnochio (1941). Mickey's popularity was beginning to stutter with audiences actually preferring his side kick Donald Duck. In a bid to rejuvenate his popularity, Disney began to work on the Sorcerer's Apprentice, casting Mickey as the hapless apprentice. Disney initially intended it to be a short on the Silly Symphonies series until Orchestral composer Leopold Stokowski persuaded him to make it a full length feature. 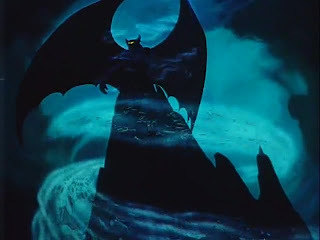 The idea grew into Fantasia (1940), consisting of eight animated segments (including the Sorcerer's Apprentice), all set to pieces of classical music, featuring; Pyotr Ilyich Tchaikovsky's Nutcracker Suite where the four seasons are depicted by dancing fairies, fish, flowers and leaves; and Modest Mussorgsky's Night on Bald Mountain, a darker segment featuring a devil summoning spirits atop a mountain.